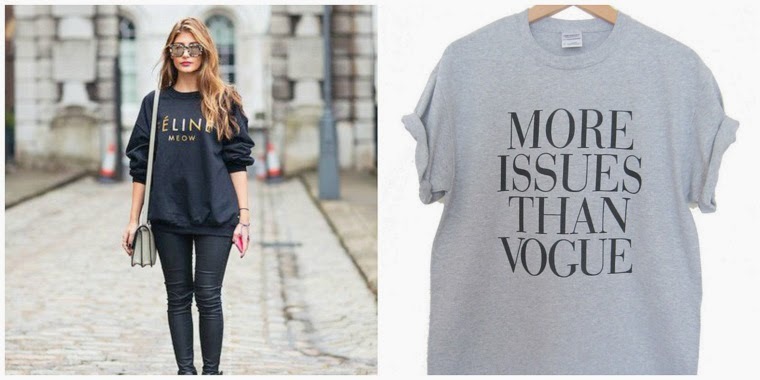 It's the week before Christmas and Twitter feeds everywhere are packed full of gift guides. Luxury gift guides, budget gift guides, last minute gift guides: there's no shortage of suggestions on what we should be buying for our friends and loved ones. 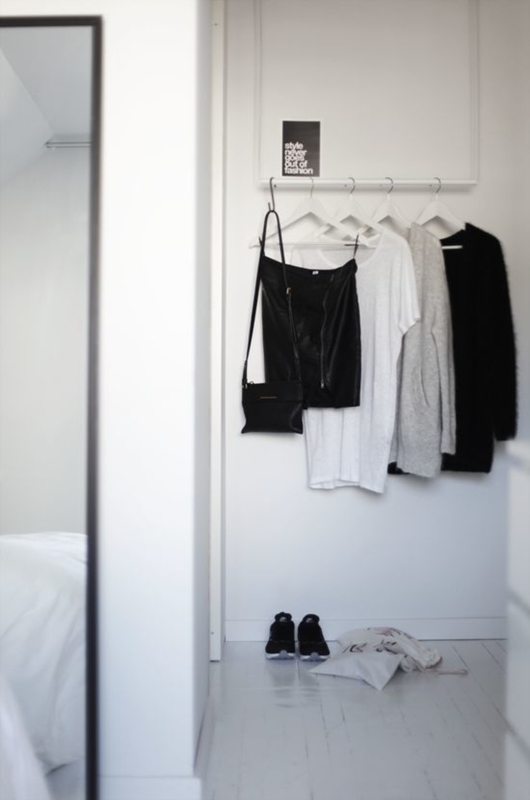 But what if you're a minimalist, or you're buying for a minimalist? How can you give well without burdening your recipients with stuff? Worry not! My minimalist gift guide gives you the lowdown. If you're going to be sitting around the Christmas tree to open presents, it's nice to be able to give a physical gift. Rather than offering something that could hang around for ever, a gift that can be fairly quickly consumed could be the perfect thing. Lush bath bombs, chocolates, a favourite bottle of wine, or a hamper of delicious treats and goodies will always be well received, and has the benefit of disappearing as soon as your recipient puts it to use. If you know your minimalist doesn't want a physical gift, what about spending some money to allow them to experience something that they love? If they like to read, how about a voucher for Audible or Amazon? If you know they love nothing more than dining out, grab a gift card for a local restaurant. Perhaps they enjoy spa treatments but don't often treat themselves, making a voucher for a massage or a facial an extra special treat. 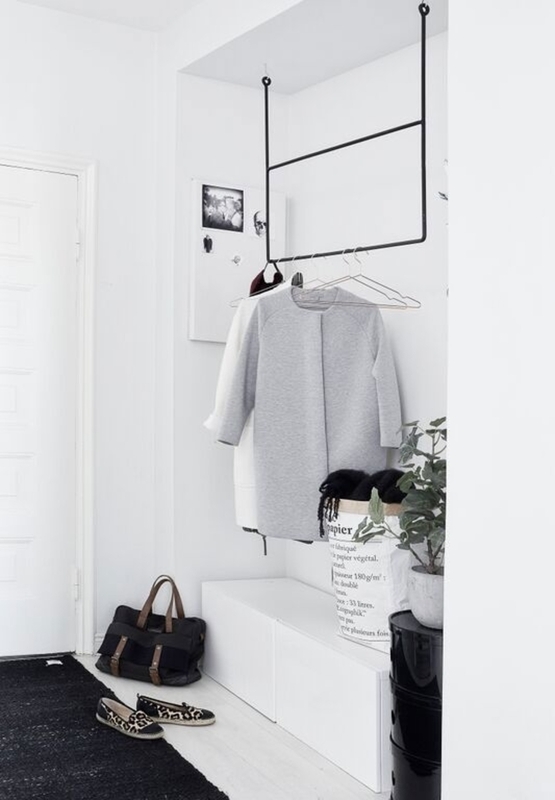 Vouchers are often thought of as the easy option for non-minimalist friends, but for those amongst us who want to limit our possessions, it can be the perfect chance to buy just what we need. What to buy for the person who has everything they need? How about making a donation in their name? Many charities offer the opportunity to cover the costs of a gift, a treatment or an intervention, which can make an incredible difference to somebody. There are more worthy causes than I can list here, but you're bound to find something that really resonates with your loved one, making this an extra special gift. Just because you're buying for a minimalist doesn't mean that your gift needs to be frugal or spartan. If you want to splash out, why not buy a luxurious item that replaces something you know that they use often, or an indulgence you know they'd love? It could be a simple gadget, some beautiful glassware, or a design piece that would fit perfectly in their home. If they often wear a black sweater, why not treat them to a beautiful cashmere replacement? Stick to simple things that you know they'll love, and you won't go far wrong. If your budget is tight, why not do something for your loved ones? From cooking dinner, offering your skills, to planning a day out to a museum or gallery, think of the things that matter and craft an experience around that. I think this one is a great idea whoever you're buying for, but asking a minimalist what they want is the perfect solution. It gives them the opportunity to tell you exactly what it is they want, meaning that you'll limit the chance of missing the mark. Whilst part of the joy of Christmas is in sourcing and giving a surprise gift, we hopefully want to get something that the recipient will truly enjoy. Asking might not be the most exciting option, but it's a sure fire way of nailing your gift giving. It also means you have a great idea of what they might like next year! 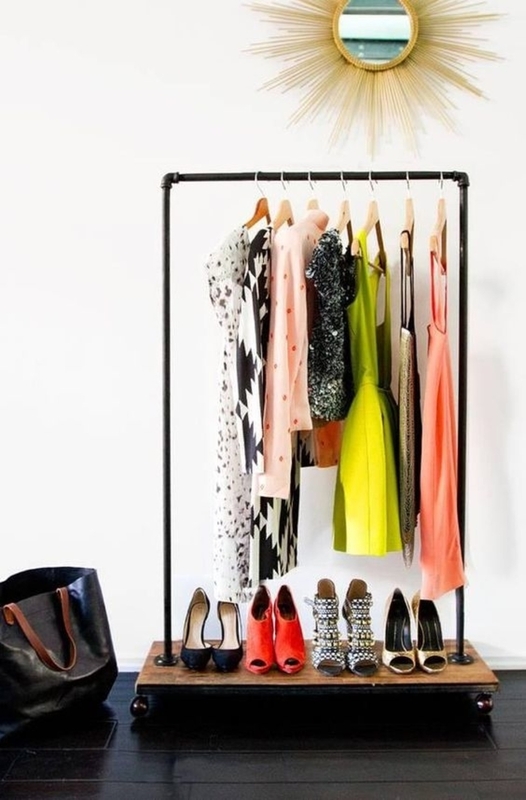 And if you're a minimalist who's buying for friends and family? Don't be afraid to share your philosophy when buying for your loved ones. Of course, if you know they want something that you'd never buy for yourself, don't buy something 'minimal' for the sake of it: try and accept that you might be getting them something they really want, even if they have multiple versions! That said, all of the above gifts work well whoever you're buying for - minimalist or maximalist - so you're sure to find something that will bring joy without creating clutter! 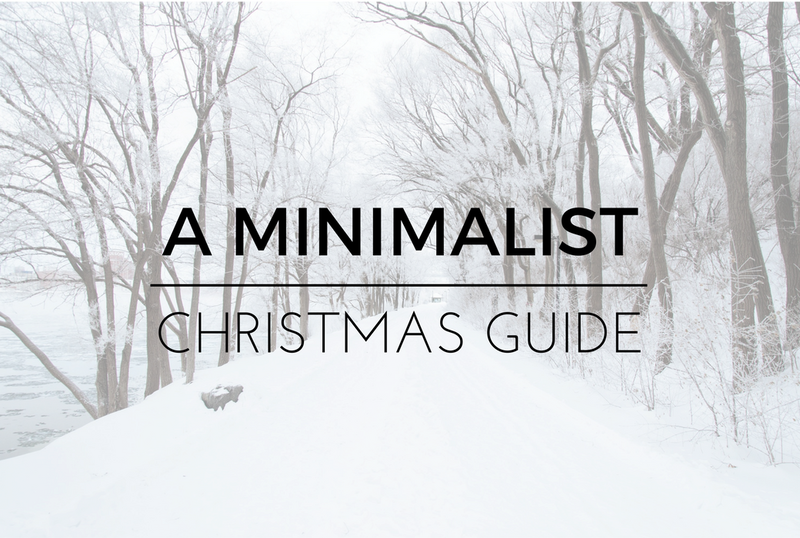 What are your tips for a minimal Christmas, and what are your favourite minimalist gifts? Back in January, I joined a gym close to work. I figured that it'd be the perfect motivator to get me out of the office during my lunch break and free up the time I used to spend working out at home in the evenings. Since joining, I can count on both hands the number of times I've been, and what's more surprising, I found myself missing my evening workouts at home. For me, 30 minutes of yoga or cardio when I got home from the office was the perfect antidote to a stressful day, and is a routine that I've really relished reviving. Needless to say, I've cancelled my membership, and thought I'd share with you my essential kit for the perfect home workout. More importantly, all this works out at less than my monthly membership! 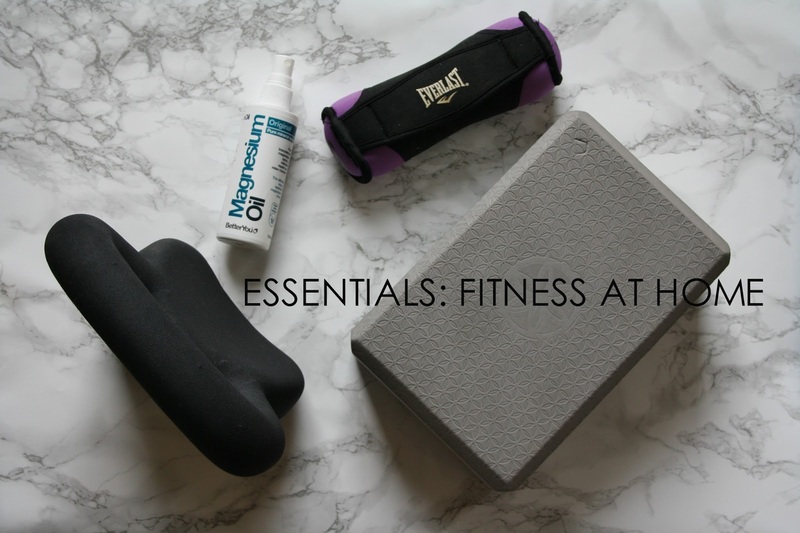 I've accumulated this equipment over a number of years as I've realised what works for me and will help me get the best from my training, so if you're looking to build a home routine, please don't rush out and buy everything here! Instead, take some time to work out what you enjoy and take it slowly from there. I consider these things my essentials: yours may look completely different, but hopefully this provides you with a bit of inspiration. My fitness routine is a blend of weight training, cardio and yoga, and the combination is more to keep things interesting for me than some expertly crafted blend of exercises. For me, finding what feels good and what you enjoy is the key to a successful fitness routine, as you need an iron will to stick with a training programme that you don't enjoy! I try and run once a week, do at least one session with my kettlebell and one 30 minutes session of yoga - although I make time to stretch everyday. I'm definitely a solitary exerciser which makes working out at home perfect for me. Plus you can get as sweaty, red-faced and noisy as you like without ever feeling self-conscious! So, onto the kit! The picture above shows (clockwise from bottom left) an 8kg kettlebell, Magnesium Oil spray, an Everlast 3lb hand weight, and a Gaiam yoga block. The kettlebell is by Matt Roberts (unfortunately, they're not available anymore), but you can pick them up from Amazon from around £15. This is honestly the best bit of home exercise equipment I've ever used, and I saw a massive change in my physique within a couple of weeks of training with this. I read some time ago that 8kg is the perfect weight for women starting to train, but I was pretty sceptical that I could do anything with it when I got it - it was so heavy! Although the first few sessions were very tough, I pushed through and am so glad I got that weight, as anything less would have quickly become too light. As well as resistance training, it really gets your heart rate up, and is therefore the perfect cardio exercise if you live in a flat, and don't want to be leaping about the place and disturbing your neighbours! The Magnesium Oil is a recent additional and one that I know I will now never be without. Most of us are deficient in magnesium, but this mineral is essential for muscle repair. I find spraying this onto my body after I've showered helps keep almost all the post-workout aches at bay and it's improved the quality of my sleep considerably. This one is from Better You and costs around £12.00. Next are the Everlast hand weights, which I've had for years (again, these have been discontinued but Calmia have an almost identical set of two for £6.99). I tend to use these when I'm doing sit ups or lunges at home, which helps up the intensity of your workout. Lastly, I think a yoga block is a fantastic addition for all you at-home yogis. It really helps you to progress into slightly deeper stretches, and is great to help stabilise you. Having two is probably more beneficial for certain postures, but I've never struggled with one. It's also great if you need to get something down from a high shelf! You can get the same one I have for £5.30 here. If you're going to do yoga at home, it goes without saying that a mat is essential. I haven't photographed mine, but again, it's from Gaiam and it retails for £24.99. You can pick them up much more cheaply than this (I was sent this to review a few years ago), but I'd say it's worthwhile investing in a mat that's at least 5mm thick, as they're much more comfortable to work on. The photo above shows my beloved Bed of Nails pillow (I also have the mat), which is the perfect way to de-stress. 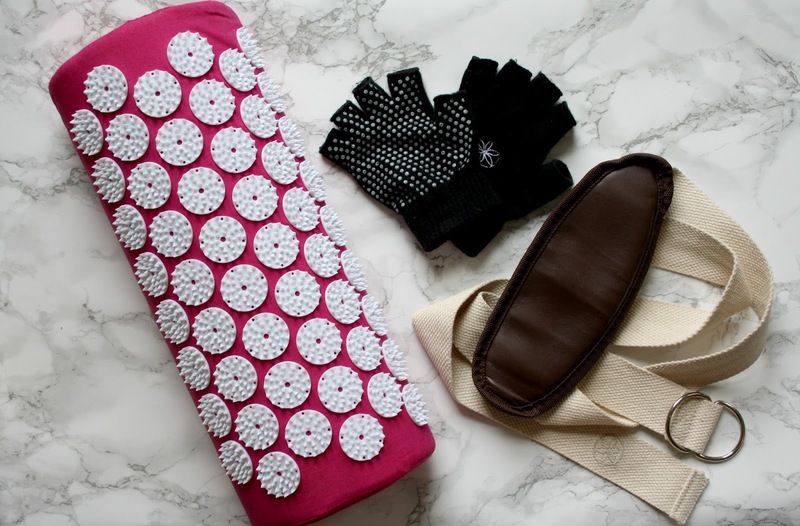 The pillow and the mat are covered in plastic 'spikes' to deliver the most heavenly accupressure - don't worry; you want be full of holes when you stand up! Just don't make the mistake of wriggling to the side while you're lying on it, as it does scratch! I got both of mine from Amazon (the pillow was £19 and the mat was £35). You can read more about Bed of Nails here. Lastly, I have a few videos I go back to time and time again. This kettlebell workout from Fitness Blender is incredible, but boy will you sweat! For yoga, it's anything and everything from Yoga with Adrienne - she's got such a great, easy style, but her videos are still a great challenge. I hope you found this useful, and do let me know your favourite workout resources and at-home kit in the comments below! This is something of a departure from my usual posts, but I've been doing a lot of sprucing in the flat lately. 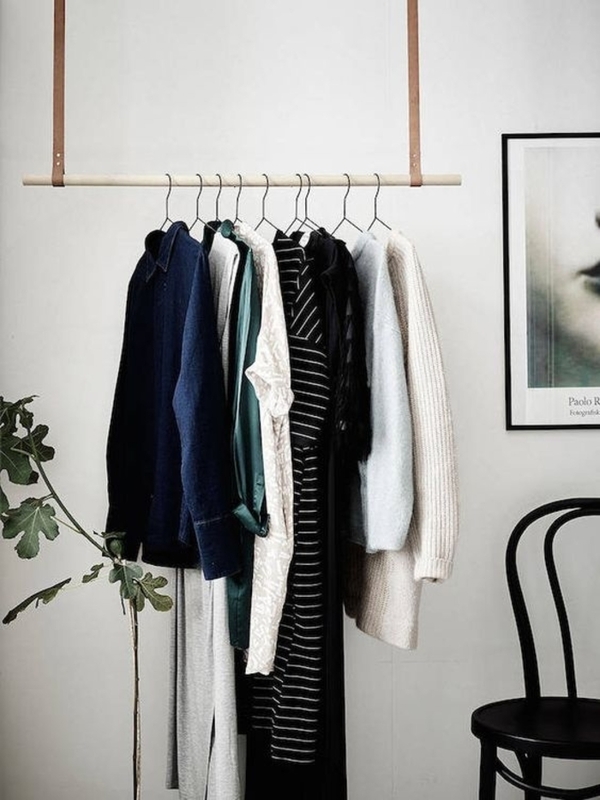 After reading The Life Changing Magic of Tidying Up late last year, I've thrown out so many things that failed to 'spark joy' (which is the foundation of author Marie Kondo's approach) and steadily started to introduce a whole host of new things that I really, really love. Careful sourcing of new furniture has brought new pieces into my life that I would previously have discounted on the basis that they felt too indulgent, but the happiness they've brought has convinced me that the investment has been worthwhile. I've spent so many delightful hours on Pinterest in recent weeks, and the fact that my home looks so much more like I want it to has meant that I've been much more keen to add things that I find really beautiful. 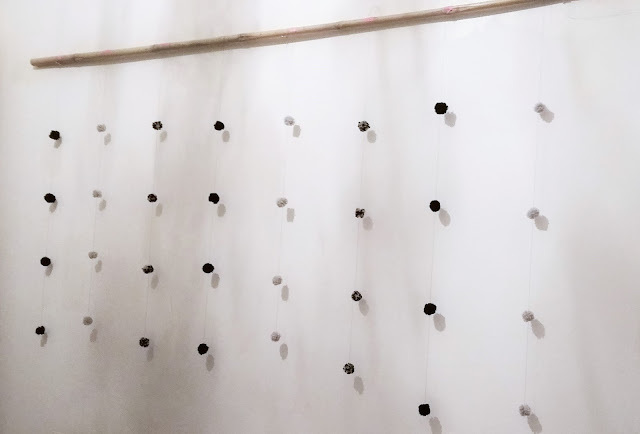 What's been a revelation to me is that, despite my belief that I had a complete lack of artistic flair, I've managed to create something that has absolutely delighted me since I hung it last week: meet my pom pom wall hanging. Before I get into the how, I can't pretend that this was a purely creative endeavour. I rent a very lovely Georgian flat in London, but one of the walls in my bedroom is blighted by quite a long, horizontal crack. Fellow renters will know the pain of finding common ground with one's landlord on what constitutes 'essential maintenance', so something needed to be done to conceal it. 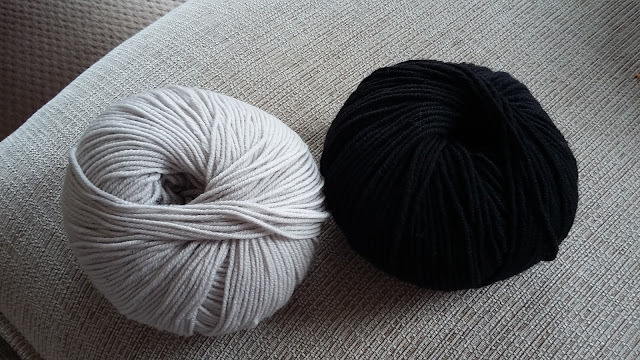 After hours browsing 'wall hangings' on Pinterest, I stumbled across a sweet pom pom creation, and skipped out to Crystal Palace's newly-opened wool and fabric shop to grab a couple of balls of wool: one grey, and one black for £4.95 each. My next destination was the garden centre to pick up an eight-foot bamboo cane for the bargain price of 60p! I had a spool of black cotton and a needle at home, so investment for this project was a very manageable £10.50. To make the pom poms, you also need a regular dining fork and a pair of scissors. I followed this pom-pom making tutorial which involves wrapping wool around a fork 50 times, and then tying the yarn around the centre so the bundle is held together. You tie an additional loop around the middle and snip along the circumference, and you're left with a very fluffy little pom pom which needs to be trimmed down. The trick here is to be bold as bold as you dare with your trimming as it gives a much better result. You'll see below that the grey ones on the left are much fuzzier than the black ones towards the front, and this is all down to braver trimming of the latter! 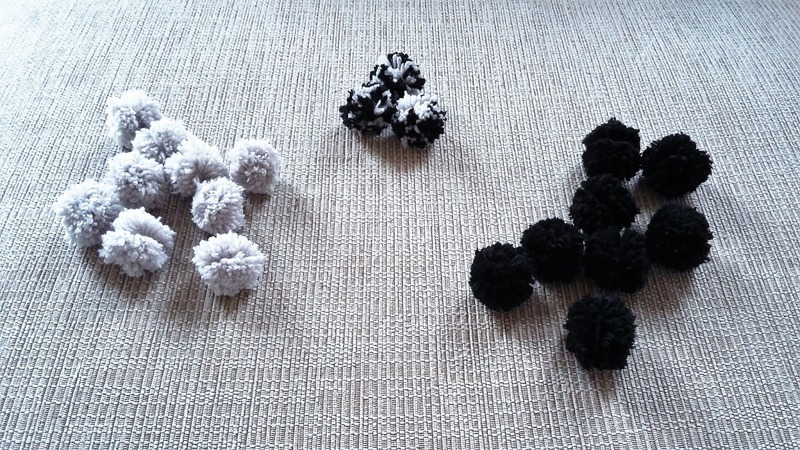 To make the black and grey pom poms in the middle, I alternated ten wraps of each colour up to the regular 50 wraps. After a few practice runs, I was whipping up both plain and mixed poms in a few minutes. I found it much easier to create batches of the tied-off proto-poms, and then return to trim them down, as the latter stage is definitely the more labour-intensive step, requiring a bit more focus. You'll also get completely distracted by your finished poms which slows you down: they're so satisfying to hold! In total, I made 12 black, 12 grey, and eight mixed, which took me about 1.5hrs. Once the poms were complete, the next step was to start threading the finished articles. I measured and marked even spaces along the length of the bamboo (8.5 inches apart, with space at either end) and started to thread the pom poms onto my thread using a sewing needles. I used regular cotton, measuring 36 inches in length, and spacing the poms 7.5 inches apart. You'll see that, despite trying to measure accurately, the pom poms at the bottom of each line are at slightly different heights. This is entirely accidental but I quite like the effect! I made an effort to line the top row up as evenly as possible, but there's definitely room for creative license here. I tied a double knot under each pom pom, hanging four to each thread. I attached them to the bamboo by looping the end of the thread a few times around the cane and tying them off with a double knot. I fixed three gold nails into the wall (from a picture-hanging kit from Ikea), and balanced the bamboo on top, tying strands of cotton around the bamboo and then around the head of the nail to ensure it was securely fastened. And here's the finished article! 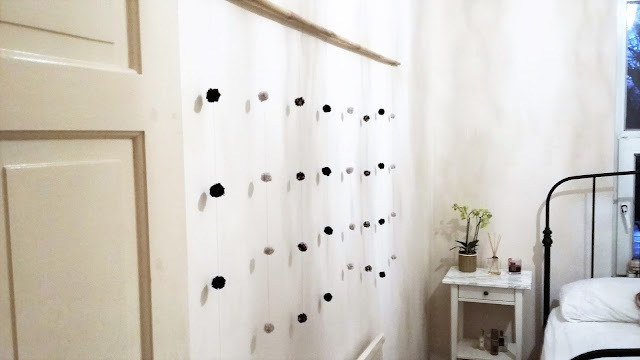 It started out as a project to conceal an unsightly patch on my wall, but it ended as something I really love, and that I can't quite believe I created. In total, this probably took me four hours (the measuring, threading and hanging definitely took the bulk of the time), so it's a great rainy day project. I'm already pondering what's next for my pom pom endeavours as I have so much wool leftover, and have a feeling that if it doesn't move, it may end up with a pom pom on it. I've told family and friends to keep moving if they see me clutching the wool! So, hurrah for my first craft 'tutorial'! Please do let me know if you fancy seeing more of this kind of thing, and if you're looking for more inspiration, you can follow me on Pinterest here. The greatest truth about blogging is that it's a thing to be done when the mood is right, and as you'll see from the lack of posts in 2015, I've not been especially inspired. 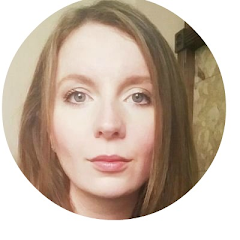 I've long battled with the fact that I started this blog to write about beauty (on day one, this site was called The Beauty Hall), but in recent years, I've become less and less enamoured with the image-obsessed world of social media (hence I had a slight re-brand to Beyond the beauty hall) and I yearned to do something different. But finding a new niche away from beauty was trickier than I thought, and that change of name still didn't feel entirely right. I agonised over the decision to edit out all of the beauty content here, or whether to abandon it all and move to a completely new blog for a fresh start. I chose the latter option, hoping for inspiration, but I wrote a grand total of one post. Now I find myself back here, right where it all started. I'd thought returning to this blog might feel like an admission of failure, but in a way, it makes complete sense for me to be back. The way this blog has changed in the five years since it was created is part of the story, and where I want to go next is informed by everything that's gone before. Leaving and starting afresh just didn't feel quite right, and perhaps the simplest option - to just keep going - was always going to win out in the end. As I said at the start, if the mood takes you, it's probably best to just go with it, and that's exactly what I'm doing. That same desire for 'newness' that motivated my decision to create a new blog is a cornerstone of beauty blogging. Yet 'new' has a short lifespan in beauty, and the PR machine behind the biggest brands means that there are now mere moments between release and total ubiquity. The latest product, the exclusive pre-release, the innovative new technology, and the sea of bloggers covering every launch, often reviewing products before their release, means that things get old pretty quickly. Those products that are deemed 'holy grail' today will often be ousted in favour of the next big thing tomorrow. Nothing is forever, and that's never been more true than in an industry expected to turnover $265 billion by 2017. What I want to pursue here is the idea that 'new' doesn't equal 'better'. I want a site that makes people feel good about what they have and who they are, rather than something that reinforces or creates anxieties and insecurities. What we see on blogs is a tiny, idealised part of people's lives, but it's presented as a glossy and complete world. We see edited photos, the latest products sent for free, expensive wardrobes, and an endless stream of events and parties, and our own lives look less by comparison. We see young woman speak with authority on diet and exercise routines, posting pictures of toned bodies and green smoothies, with little thought about the impact they're having on the attitudes and outlooks of girls for whom instagram isn't just a place to look at pretty things, but the lens through which they view the world: a world that is filtered and manipulated to such an extent that it can no longer be considered real. The message that there will always be something to make you look prettier or younger never stops, and I'd like this site to be a bit of a break from that. So at last, I'm finally confident to say that things really will look a little different around here. I will never again stop myself from blogging because I haven't got a photograph to accompany the post; I won't be driven by what's happening in the beauty hall, and will instead just write about the things that I think, like or dislike, and if you enjoy that, I'm very happy. But for the first time ever, I can finally say that this site is for me, and that feels pretty good. If I was starting to get the spring feeling in my last post, it has well and truly taken over this week. Stephen and I spent a long weekend in his home town of Sheffield, and we decided to spend Saturday in Whitby on the north Yorkshire coast. Just us, two dogs, and two enormous portions of fish and chips from the delicious Magpie Cafe. 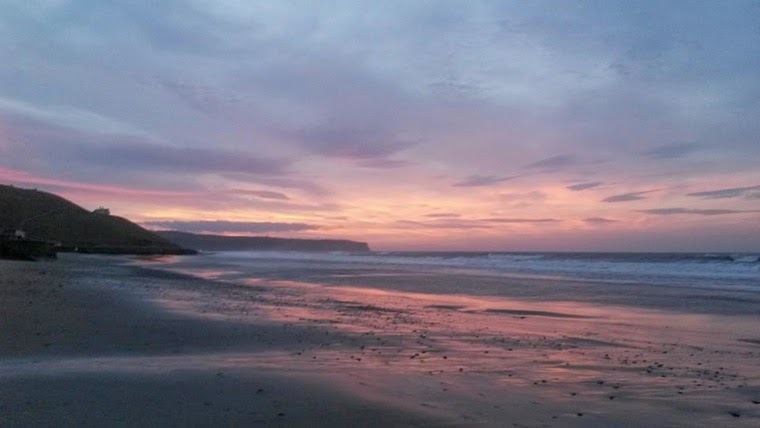 After a bracing walk, we dropped down to the beach just as the tide was starting to go out, and we had a rather eventful time: I misjudged the tide and found myself with ankle boots full of sea water, and he jumped up on some rocks, which turned out to be a mound of clay. We like to think of ourselves as tough northerners, but by the time our walk was over and we were wet through and caked in mud, it rather appeared that London has rubbed off on us a little too much! On our walk back towards the town, we turned back to be greeted by the most beautiful sunset, which intensified with every passing minute. Utterly stunning. We returned to London on Monday, and I was reminded why I love my street so much: who needs a trip to Japan when I have five cherry blossom trees (plus a magnolia) in full bloom. There are few things more beautiful to me than the soft pink hue of this fleeting blossom, so I'm making sure to keep my weekend clear so I can spend time reading my book and gazing out of the window, before they disappear altogether. 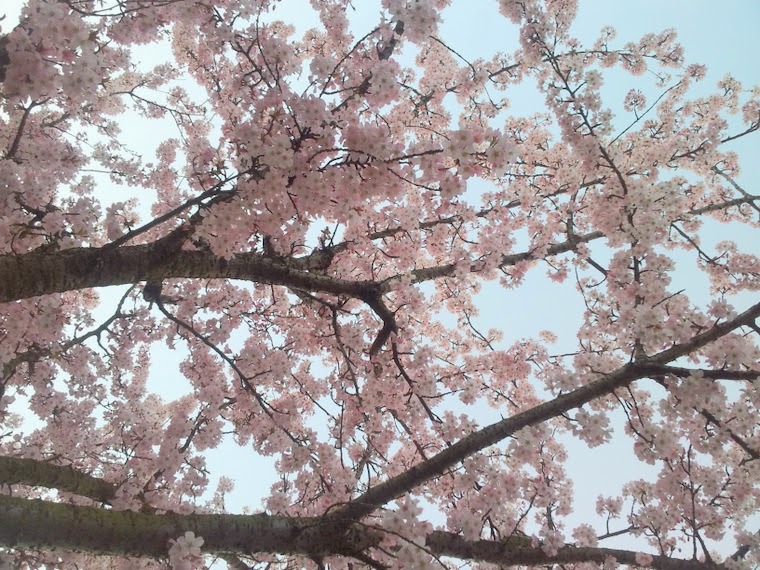 Next week, I'll make sure to have my camera with me at all times, as last year, I was caught in a confetti-like swirl as the spent petals descended from the trees in the breeze. It was one of the most magical walks I've ever had. While I adore pink, it seldom finds its way into my wardrobe, but I have to admit, this rosy haze has me feeling more than a little inspired. Oh, I should add that it pains me to always include such expensive clothing in my edits, but net-a-porter is, without question, the best site for images of clothing rather than models in clothing. I love my edits to be simple, which means that I'm constrained by what's available online. I promise that I will try and find another way to do this (maybe Polyvore?) to showcase some cheaper alternatives. I will try Zara next time, although their occasional grey backgrounds jar with my desire for a pure white background! Serious OCD alert.